Just like trading in stocks or futures, trading in MCX involves quite an amount of cost and risk. However, with a few tips and a basic understanding of the market, you should be able to book decent profits. Trading is not a modern day concept and has existed from ancient days when people traded livestock for necessities of daily life. Similarly, precious metals such as gold and silver have been in the trading arena since the time of their discovery. The only difference you see in it is that of the form. Earlier, it was traded in larger chunks, then moved to vessels and ornaments and today it is traded in the digital form on the commodity exchanges. Just like in stocks, it is always advisable to start small. Get familiar with the commodities market and its functioning. You can always scale up gradually as and when you feel you are ready for it. The market is bound to be uncertain. This means you may have to deal with a great number of risks that you might not be aware of. Ensure you evaluate your risk appetite and invest only as much as you can afford to lose on a bad day. Calculated risks are any day better than relying on luck. In the market, irrespective of stocks or commodities, you cannot avoid risk completely. But you can take steps to mitigate them as much as possible. Consider diversifying your assets into different commodities so that the impact of loss in one commodity is pacified in the other. Eg: if you happen to see a fall in the prices of gold, the stability or growth in silver would help you make money till other recovers. Another important criteria of trading is to depend on research. Commodities are affected by a lot of sociopolitical and natural events around the world. Also, there are various technical and analytical tools that would help you research on the industry, past trends and thus, assist you in determining your future action. There are a lot of financial experts and advisors who often issue statements on the direction of the market. Ensure you subscribe to all these to get as much information as possible. Be updated with the global, national, and sectoral updates to stay ahead of the curve. Trading can be an emotionally and mentally taxing activity. Ensure that you take all the information with a pinch of salt. Don’t believe everything you hear about the commodities market unless you verify it yourself. Don’t base your judgment to buy or sell a commodity or its units in haste lest you make errors. Stay patient and analyze every piece of data carefully before acting upon it. There are professional advisors and experts whom you can approach for help. Don’t shy away from accepting that you might not always know it all. In such situations, it is best to take professional help than to lose money. Trading in MCX isn’t very difficult if you have your basics in place. 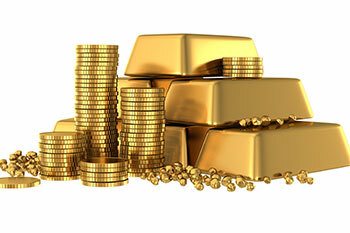 With these 7 MCX trading tips, you should be able to trade in in commodities like a pro.